Target Pain Relief Fast. 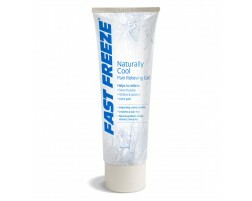 Fast Freeze is an all natural alternative to pain medication, providing soothing, penetrating pain relief from sore muscles and joints, backaches and arthritis. 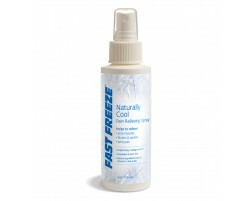 Fast Freeze delivers targeted pain relief with a colorless formula that is 100% Paraben-free. Analgesics, also known as painkillers, are ideal for joint pain, muscle aches, minor arthritis, bruises, and even sprains and strains. Topical pain relievers such as creams and sprays work much faster than oral pain relievers, and they allow you to target specific muscles and joints. Oral pain relievers can take time to enter your system, whereas cold therapy creams immediately begin to work on sore muscles by dulling away pain with a soothing cool sensation. 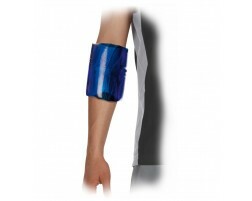 The act of massaging a topical pain reliever in to your sore muscles also helps alleviate the achy areas.